We have a national equivalent, which sets the bar for pronounciation and vocabulary in Flanders as well as the BBC does for the UK (although in recent years I think the quality has gone down tremendously). I think there's nothing wrong with broadcasting in "proper" English (or in my case, Flemish-Dutch), even if it sounds a bit stiff sometimes. Probably because I've been raised in a dialect with an accent that's very tough to get rid of. I'm rather glad to hear that Bibi! 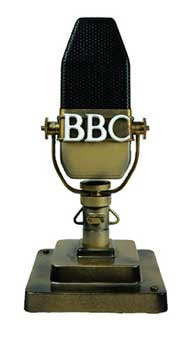 Having grown up in Oxford, my accent is a less stiff form of the BBC English, and people variously love it as 'proper English' or dislike it and assume I'm looking down my nose at them. I sound as if I come from Croyden. I wouldn't mind, but I've never even been to Croyden. RYC: Oh, okay, that's a relief. Thank you very much! RYC: I'll stop spamming your comment section after this one. Thank you for your kind words, I really appreciate it. It does take courage to admit we're not perfect human beings, but throughout the years I found writing down the things that worry me, or have caused pain, has helped me put things in perspective. Also, the feedback of other bloggers really makes you realise you're not the only one struggling from time to time. And yes, some things that happened or that we feel when we are younger are still reflected in the way we feel today. We can keep trying to improve ourselves, but when is a person "done", or "finished"? Maybe it's better to just learn to accept yourself the way you are, warts and all, and make the best of it. 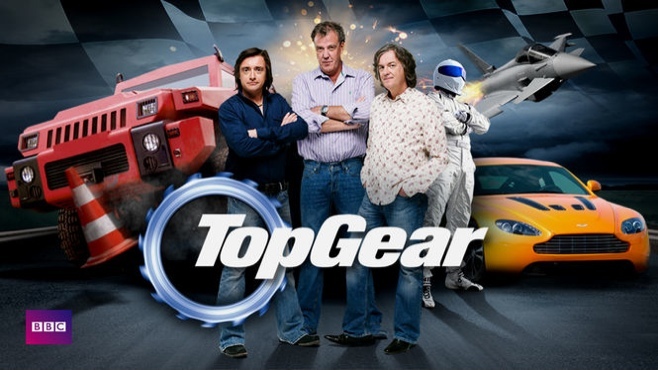 I can't stand Top Gear either, it's not just the presenter that I find obnoxious but also the co-presenters' hair (it's 2013!). BBC English... Most EFL books in Greece are based on British English which is really hard for Greek speakers and especially kids. For example, when a 9-year-old student sees the word "motheR" they can't understand why British people don't pronounce the "r". Lately, the authors have started to incorporate more accents so as for the conversations to be more realistic. When I speak Spanish, I've been told that it's hard to tell that I'm English, which makes me jolly proud indeed. However, I then usually mess it up by doing something like ordering crumpets and a cup of tea. Ah well.